A Russian general officer was killed in Syria during shelling by the Islamic State. “Division general Valeri Assapov was killed when a shell exploded during shelling by IS fighters,” the ministry was quoted as saying by local media, reported VOA News. 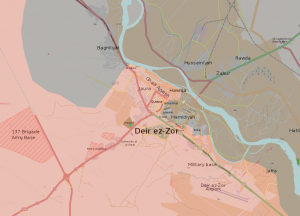 Russian troops have been heavily involved in removing ISIS from the city of Deir el-Zour and the Kremlin state media has made much fanfare of the operation. The area around the city was once the main source of oil and gas revenue for the terror army. Syrian news also announced the capture of the nearby city of Maadan, north of Deir el-Zou.